I'm an award-winning BBC radio producer and documentary maker now writing documentary history journalism. My latest book will be published in 2019 by Helion. 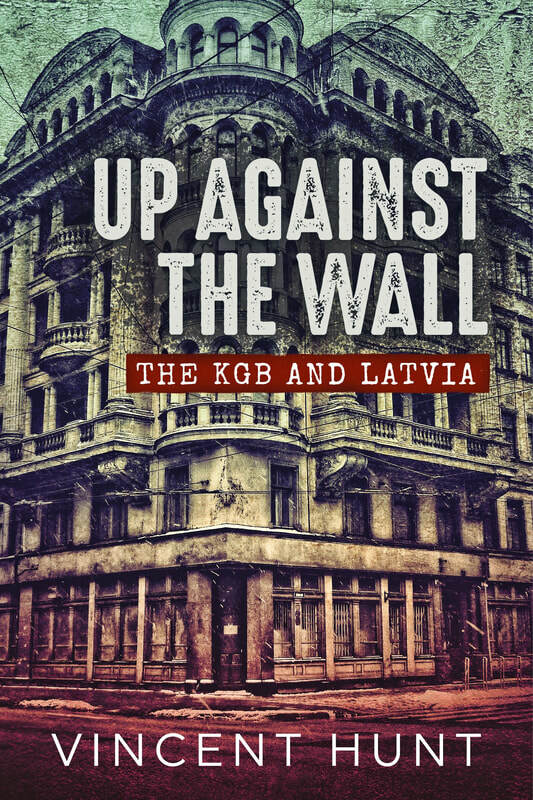 It's an oral history of the KGB in Latvia. It explores the relationship between Latvians and the Soviet security police: first the Cheka, the revolutionary Bolshevik secret police that Latvians helped establish, and then after Stalin's Purges, the NKVD during the immediate post-war suppression of the partisans and the 1949 deportations. Reorganised into the KGB in 1954 but still known by its original name, the Cheka dominated life during the subsequent forty-year Soviet occupation. There's a video about the book a little further down this page. My first book about Latvia during WWII - Blood in the Forest - the end of the Second World War in the Courland Pocket - is now available in three languages: English, Latvian and now Lithuanian. It's an oral history of the final six months of the war in western Latvia as the armies of Hitler and Stalin fought themselves to a cataclysmic and bloody stalemate. Blood in the Forest - the end of the Second World War in the Courland Pocket is published by Helion.co.uk. and Recollectionsofwwii.blogspot.co.uk said: 'The author's skilled use of interviews combined with his personal travelogue makes it one of the best books I have read in a number of years'. My first book 'Fire and Ice' tells the story of the scorched earth destruction of Norway by the Nazis. It's published by The History Press and first came out in October 2014. It was published in paperback in 2018. I'm a producer, reporter, presenter and media trainer, starting in local newspapers then spending ten years in BBC news. I worked first in Manchester, then launched Five Live Breakfast, before moving on to the BBC World Service and World Service TV. I worked in music radio for 15 years, winning many awards reviving the BBC Radio Ballads and crossing America, Asia, Africa and Europe making documentaries for the BBC World Service, 5-Live, Radio 4 and Radio 2. Now I teach a new generation how to hone their skills as journalists, do media consultancy work as a specialist trainer at Cambridge University, and I act as an English Language editor for the University of Latvia's Migration Research department and the Sociology department. Blood in the Forest was my first book about Latvia, and has been translated into Latvian and Lithuanian. Blood in the Forest was published by Helion in May 2017.